Built in 1907, the Ross Building was designed by prolific Hattiesburg architect, Robert E. Lee, whose masterful work can be seen elsewhere downtown at City Hall, Oddfellows Building and Historic Hattiesburg High School. The Ross Building gets its name from the original owner, Dr. T. E. Ross, who practiced medicine in Hattiesburg from 1892 - 1935. 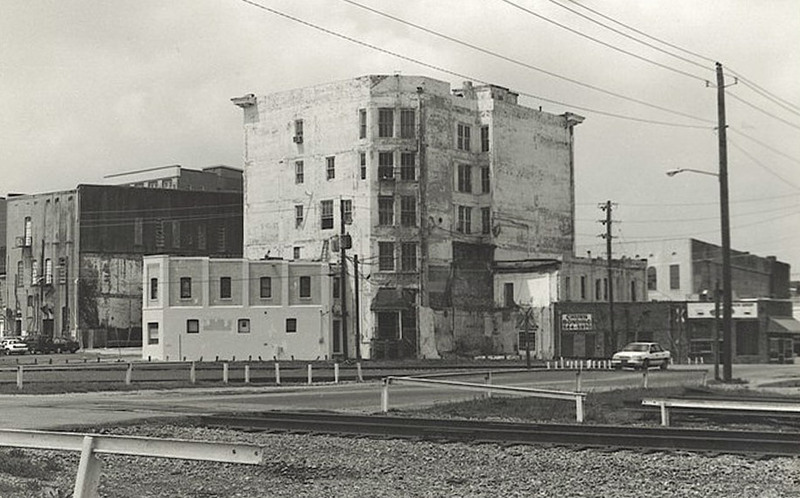 This building is one of downtown Hattiesburg’s most significant structures: its five-story height and prominent location contribute significantly to the downtown skyline. The America Building has been known by many different names in its 100-year history. Over time, the Ross Building was renamed the Royal St. Andre Hotel and the America Building. The Hub City sign was erected on the roof of the Ross Building in 1912 to promote Hattiesburg as the central city in Southern Mississippi. The City of Hattiesburg received its nickname (The Hub City) from this sign and is still known as the Hub City to this day.